We are happy to announce our Inter-School annual Robotics Competition for our young Roboteers. 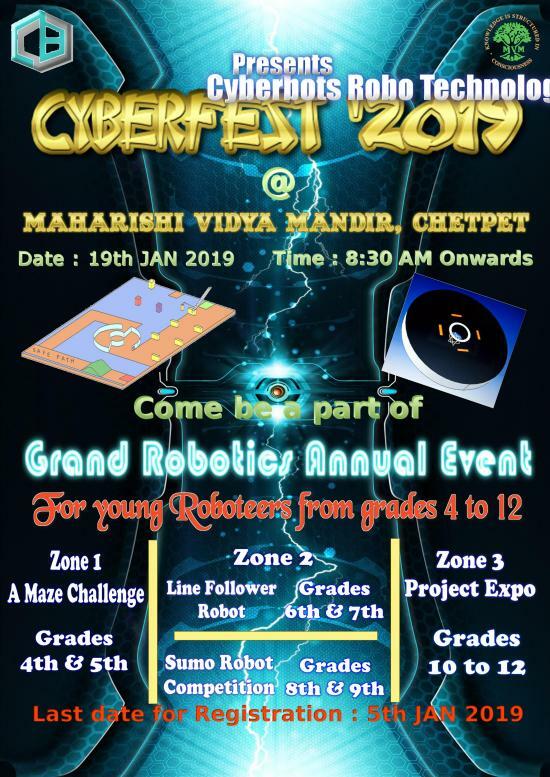 CyberFest’2019: A Grand State-Level annual Robotics event happening since last 2 years with more than 500+ participants from all over the state; especially school children from grades 4 to 12. 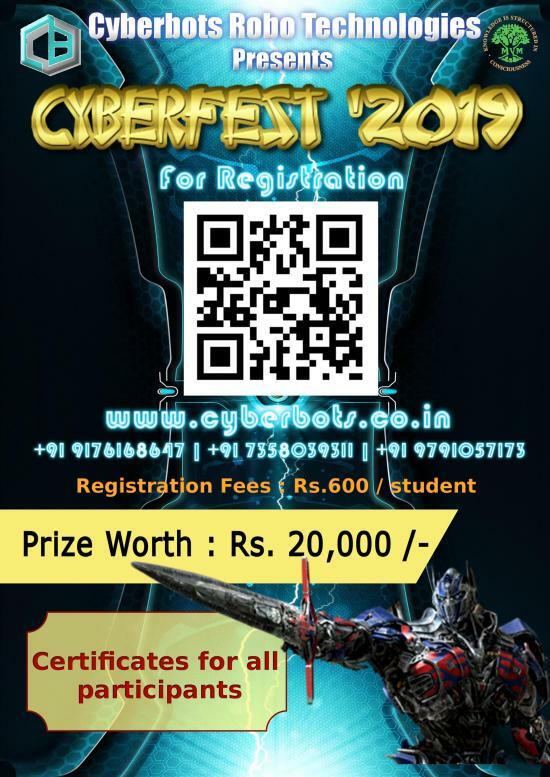 CyberFest is a day-long rovbotics event with 3 different categories. Its a Team event with maximum 2 students per team. Venue – Maharishi Vidya Mandir School, Chetpet. Registration Last date – 05 January 2019.